A family saddlery business has created quality leather goods for more than 70 years. Speaking the truth, doing what’s right and respecting others are all part of the cowboy way … along with wearing a good pair of boots and owning a decent saddle. A Sand Springs tack and clothing shop keeps the cowboy way alive. The Mock Brothers Saddlery and Western Wear, commonly known as Mocks, has been family-owned and operated since siblings Claude, Albert and Archie started the business in 1941. 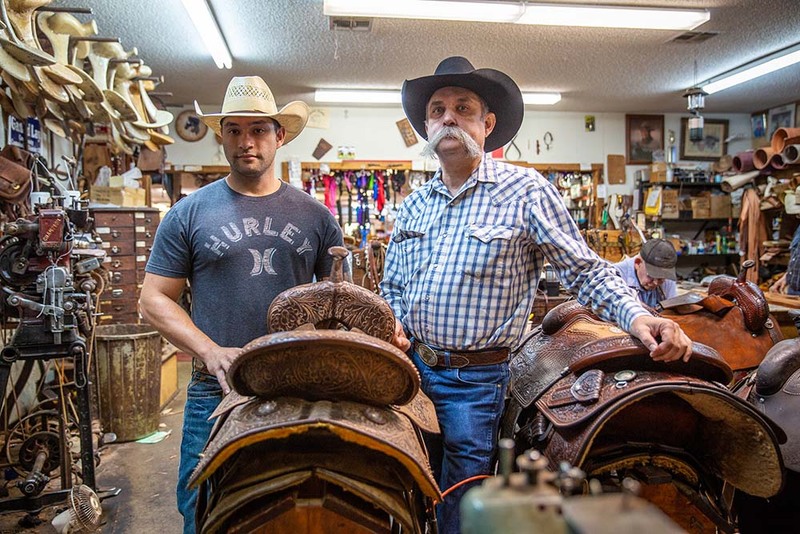 It is still run by two brothers – Greg and Bret Mock produce the same quality saddles and leather items their relatives created more than 70 years ago. The brothers stay busy with custom orders, handmade from start to finish. Those looking to buy a Mocks saddle have to wait about a year. Mocks is also a full-service shop with high-quality boots, cinches, hand-tooled leather wallets, new and used saddles, Western clothing and custom leather tack. Mocks has produced leather goods for professional rodeo riders and country music stars like Brooks and Dunn, so it’s no surprise that another high-profile customer is Pistol Pete, Oklahoma State University’s mascot. The Mock brothers have provided the iconic cowboy with chaps on and off for 10 years. The brothers endorse the cowboy way and want the legacy of hard work, ranching, rodeo and family bonds to continue with the next generation. 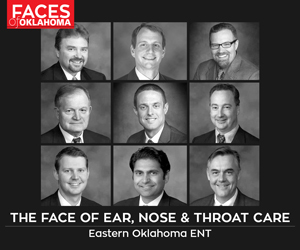 Bret Mock hopes that one day his sons, Ethan and Daniel, take over the business and carry on the traditions.